In 2014, Baan Nong Bua School was one of the victim of this severe earthquake. 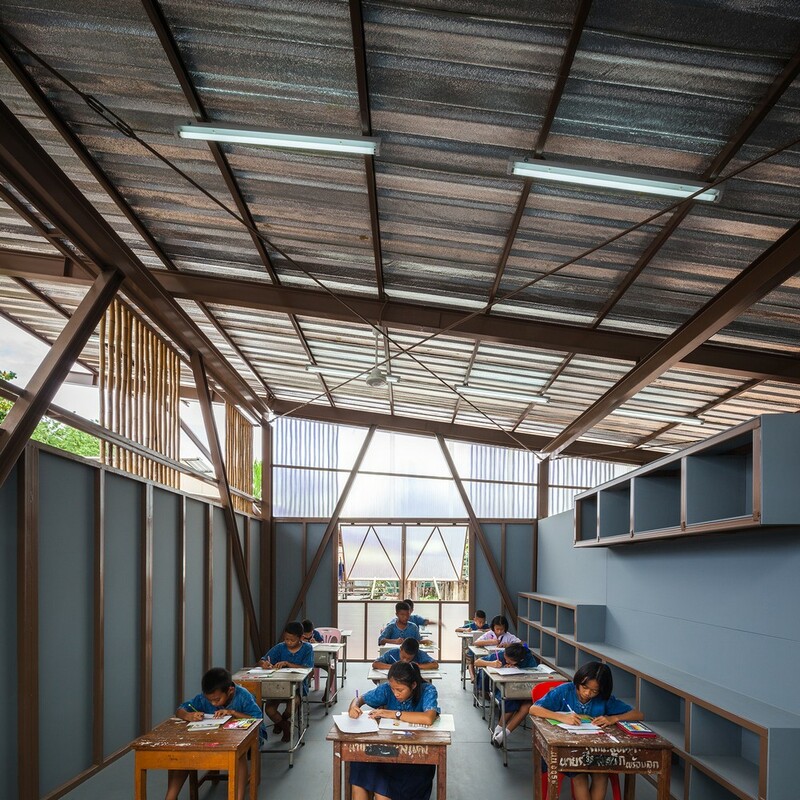 As the building was demolished, the school building needed to be designed and constructed at the earliest for the kids needed a place for study. Moreover, with the physical and the location of the site, the design also have to concern about the construction process. Hence, with many limitations, the architect came up with the design that cope with these circumspection. 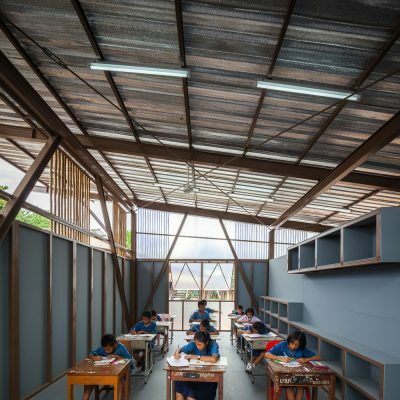 Baan Nong Bua School is an earthquake-resisted local school located in Chiang Rai, Thailand. With a main structure made out of steel, the flexibility of the material and the skeleton frame help absorbing the vibration of the earthquakes as well as accelerating the construction process. Furthermore, with a vernacular design, the school is designed to respond to the local factor including material and weather which can become a model of the public building with a sufficient idea. 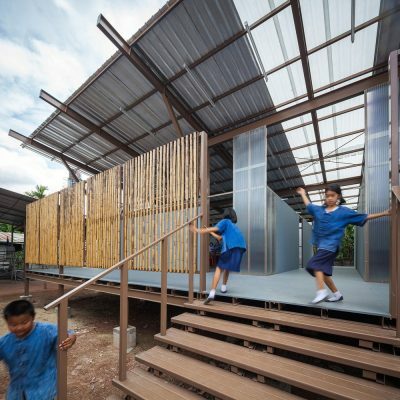 Baan Nong Bua school is a local primary school for the local children in Pan District, Chiang Rai, Thailand. With an earthquake-resisted structure, the school can withstand the natural disaster like earthquake which frequently occur around that region. 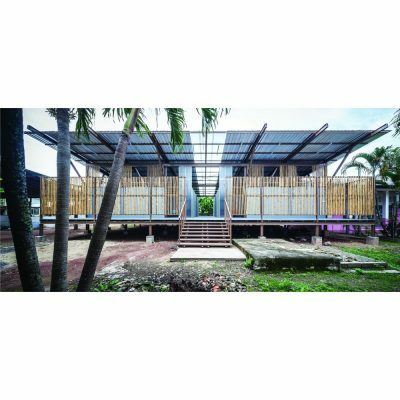 With a clear understanding construction system, this building can become a prototype of the earthquake-resisted building around the region. The project was initiated after the severe earthquake on the fifth of May in 2014 and was finished on 2015. The project situated in Chaing Rai, Thailand. By concerning on the physical context of the site, materials that have been used in the project are all local material or material that can be find easily around the area for example bamboo, wood, steel. 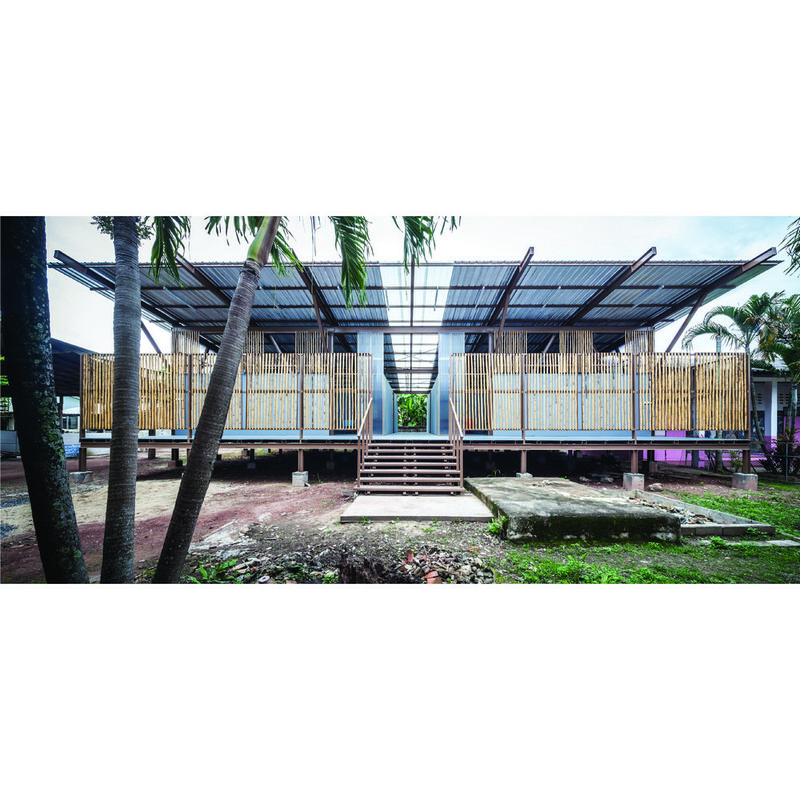 Furthermore, to accelerate the construction process, modular system and standard industrial size of material including cement board, metal sheet or poly-carbonate sheet were as well used in this project. Dimension of the project is 18000 x 12000 x 5400 mm with the use of steel and cement board as a main construction system. 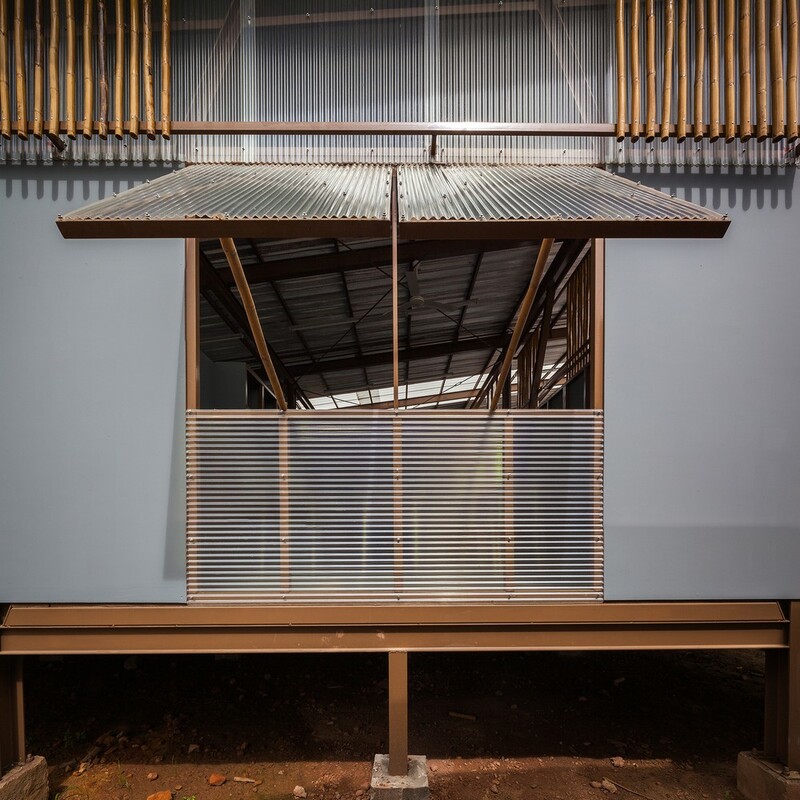 The architect also combine the earthquake resistant structure with the vernacular architecture allowing ventilation and natural light to penetrate through the interior space. Besides, the sense of place and uniqueness is given to the design by the use of bamboo and some of the other local materials. With the restriction of time and transportation, the project needed the cooperation between the locals, engineer and architect. The research was started from the context data collecting by the locals while the earthquake data was gathered simultaneously from the engineer by the architect in order to create an earthquake resisted building. Additionally, the information from the supplier about the industrial standard size material is collected to accelerate the construction process. 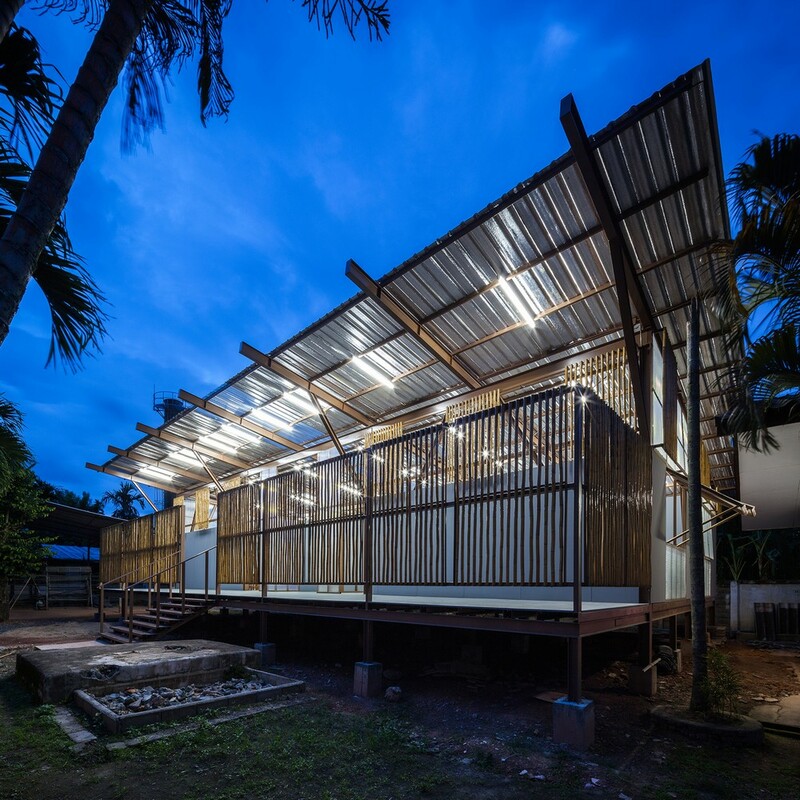 What's become the most challenging part of this project is the transportation and communication method as the site is located in the further rural area of Thailand. Thus, physical model become one of the most important tool for communicating with the local builders.